Photo DVD Maker helps you create photo album on DVD disc playable on TV, website, mobile devices such as Apple iPod, Sony PSP, cellular phone. With few clicks, Photo DVD Maker creates a professional-looking photo slide show with background music, Pan & Zoom and transition effects. 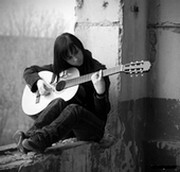 Photo DVD Maker supports DVD, SVCD and VCD 2.0, MPEG, MPEG-4, FLV (Flash for Video) as the output format, supports over 360 amazing transition effects, Pan & Zoom, anti-flickering filter, supports adding background music directly from music CD and adding text Macro such as photo album name, photo file name, date, etc. It supports sub-title and art clips for each photo slide which adds amazing special effects for the slideshow. It also supports voice recording, annotation, audio music trimming and timeline control for easier audio/photo synchronization. With only a few clicks, you can conveniently create your own digital photo album. After the preview of your slide show created, you can easily burn them onto a blank DVD or CD disc that can be enjoyed both on your PC and TV with a DVD or VCD player. Within a few minutes of work, you'll have an eye-catching slide show with DVD, SVCD, VCD 2.0, MPEG, MPEG-4, FLV as output formats. Photo DVD Maker can quickly and easily produce professional-looking photo slide show DVD disc or MPEG video files and share digital photo albums on home big screen TV, computer, website, iPod, PSP, YouTube, MySpace. DVD+R/RW, DVD-R/RW or CD-R or CD-RW is really a perfect place for pictures: hundreds of your photos can be saved on a single DVD or CD disc. With Photo DVD Maker, you can easily archive hundreds of your favorite high-resolution photos into a DVD or CD disc that is accessible by your PC. You can share your archived DVD or CD disc with friends, family, clients or colleagues! The fastest way to make your own video DVD: With MAGIX Movies on DVD 8, you can edit your own personal video recordings with ease and burn them to DVD with animated menus – without any prior knowledge required! Creates video DVDs that can be played with any DVD player! Simply import complete videos or clips from any source, select a menu, customize it if desired, and burn to disc completely automatically. You'll find it hard to tell the difference between the DVDs you make and those you purchase. No time for getting used to a complex video editing program? Do you need to back up your camcorder or TV recordings onto your PC quickly or burn them directly to DVD with animated menus? Then MAGIX Movies on DVD 8 is the perfect solution or you! It's never been easier to edit recordings from video cameras, DVD recorders, webcams, etc. and burn them with menus to disc. In just three steps, create professional video DVDs – even without any prior knowledge. Watch them again and again or present them as a personal gift to friends and family. DVD-Cloner Platinum is powerful DVD copying/converting/burning software. 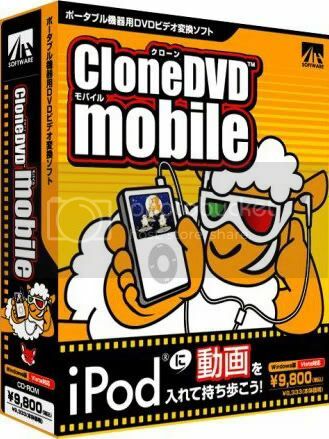 It has all the features of DVD-Cloner plus the ability to convert all your DVD movies to iPod Nano, Classic and Touch. It’s a user-friendly program with excellent output quality. 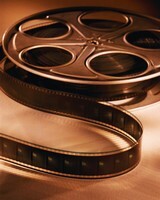 The latest version utilizes SmartAnalyser to ensure the highest level of success copying latest DVD movies. Give it a try and you’ll find your ideal multimedia solution! With CloneDVD mobile you can put your favourite movies or TV series on your mobile video equipment and watch them wherever and whenever you want. Let the kids watch their favourite cartoons in the car. Incorporating the user-friendly interface of Elby's CloneDVD and the well-engineered open source project FFmpeg as the conversion engine makes CloneDVD mobile a fast, easy-to-use and quality product that is very reasonably priced. Copying a DVD to your mobile video machine is achieved in a few mouse clicks and without the need to rip it to your hard-disk. Note that copying protected DVDs also requires AnyDVD. · Convert movie DVDs to other file formats like DivX, XviD, AVI, MP4, etc. If you want to share your video or photo CDs with your friends, you should stick with the most common media standards that can be replayed on any computer, video player, or even a game console. Video DVD Maker PRO is an inexpensive all-in-one solution that allows you to grab your video from a camera or other source, convert it into an appropriate format, and burn it to a DVD or a Video CD disk. Video DVD Maker PRO includes DVD menu and CD cover builders. Elecard DVD Player allows you to play DVDs* or media files (a list of files) from a directory of files copied from a DVD*. The exclusive feature of the player is the ability to playback DVD folders and backup DVD contents. Elecard DVD Player provides high resolution and full quality playback of MPEG-1, MPEG-2, MPEG-4 SP/ASP and AVC/H.264 (if Elecard AVC PlugIn for DVD Player is installed) optimized for the most efficient CPU usage. The built-in MS DirectShow® decoders enable Elecard DVD Player to play a number of common multimedia formats, such as AVI, WAV, MP3, MOV etc. Very stylish and intuitive interface, set of useful features, and competitive price make Elecard DVD Player a decent addition to your "must have" list of applications. Product version 2.2 was certified for Windows Vista. 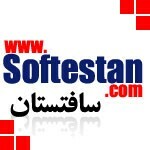 Currently we are updating this product and plan to release a new version soon. # Full resolution DVD video playback at 720x480x30fps for NTSC and 720x576x25fps for PAL. # Displays correct aspect ratio. # Video frame capturing (pixel-by-pixel, aspect ratio or user defined) and saving in bmp/jpeg/gif/tiff/png format. # Play list creation, editing and playback. # Shuffle playback of the play list. # Multiple Instances - enables using one or several player instances. # Always on Top - provides player position over other windows. # Variable playback rate (step-by-step modification from 0.1 up to 2.0 of normal rate). # Step forward and step backward by frame or by time (from 1 up 60 sec). # Fast forward rewind and fast backward rewind by frame or by time (from 1 up 60 sec). # Ability to set the default language of menu, audio, subtitles before playback. # Ability to play back the DVD content from selected folder. # High definition video playback/decoding. # Hot Keys setting and editing. # Ability to set audio and video decoder parameters from the player. # Ability to apply selected settings immediately, without closing Setting window. # MPEG-2 Audio, including unofficial MPEG-2.5 format. # AVC/H.264 and AAC support (if Elecard AVC PlugIn for DVD Player is installed). # DXVA hardware acceleration support. # Closed Captions support in Video and DVD mode. # Auto-shrink the video window not to go outside the screen boundaries (important for HD video). * - H.264/AVC support is available only with AVC Plug-in installed. Burn Blu-Ray, Dual Layer DVD, DVD and CDs. Burn Audio CDs from MP3, MP2, AVI, WMA, and WAV files. Also create ISO files, burn Bin/Cue files, and Burn Video DVDs. Supports DAO and TAO burning modes for all disc types. Burn Video DVDs from FLV, AVI, WMV, MP4, MOV, and 3GP files. The Cheetah DVD Burner is a lite, and fast disc burning program that is easy on the system resources. * Bootable CD/DVD/Blu-Ray - Create Bootable CD/DVD/Blu-Ray discs from image files. * Disc Formats - ISO9660, Joliet, UDF, ISO9660 Joliet Bridged, ISO9660 UDF Bridged (Video DVD), and ISO9660 Joliet UDF Bridged. * Supports high burning speeds - Supports use of high write speeds - Designed for high data rates. * ISO Multi-Session - Burn Multi-Session Data CD/DVD with all types of media.